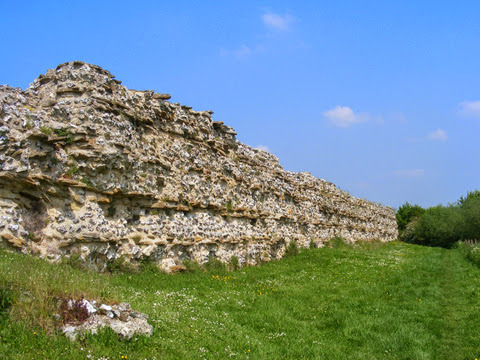 In this blog, I’m returning to the third book of my Heart trilogy, THE CAPTIVE HEART, when my hero and heroine, Garreth and Ailénor, stop overnight in Silchester. The city was built (70 – 80 A.D.) and later abandoned by the Romans (410 A.D.) when their armies hastened to defend Rome against the onslaught of the barbarians. Garreth and Ailénor arrive centuries later (933 A.D.) to discover a city in ruins and, for the greater part, uninhabited. In recreating Silchester, I followed old maps and worked in features of the ancient city that my couple would have encountered — sturdy defense works, the actual streets, a small Roman temple, a restored mansio that serves travelers as an inn and stable, and an early Christian church, no longer in use, where Garreth and Ailénor seek shelter for the night. 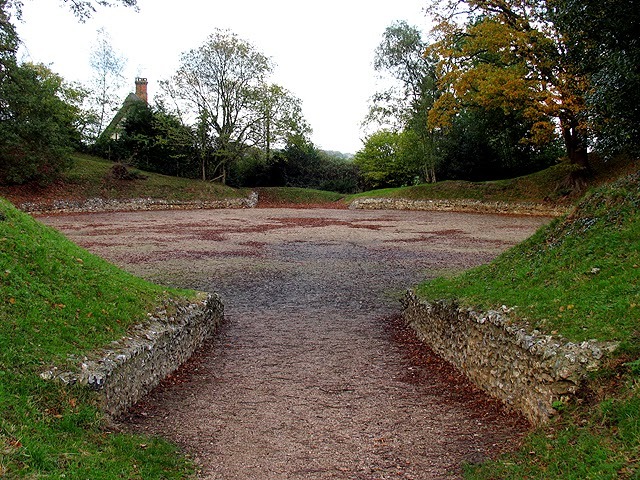 For a closer look at the ghost city of Silchester, stop by The Medieval Chronicle website and check out my article, “Silchester: Ghost towns in pre-Conquest Britain? How fascinating!” Indeed, enjoy all the articles TMC offers. It is a fabulous resource, offering articles on an array of topics stretching from the fifth century to the death of Elizabeth I. Here is a snippet of my article. Cheers! While mapping the route my characters would follow from Winchester to London in the mid-tenth century, I discovered the old Roman roads led inevitably to the ancient city of Silchester—a major crossroads for armies, travelers and pilgrims. To my surprise, by 933 A.D. Silchester (known by the Romans as Calleva Atrebatum) had already stood empty for over four centuries. But its decaying ruins had not been reduced by sword or fire. Rather, by time and neglect. As in other places, such as Winchester, the inhabitants fled during the Teutonic invasions of the fifth century. Some cities remained deserted for centuries. Others, like Silchester, remained so forever. . .